Over the last month I have been slowly working my way back into running. You may not believe it, but through high school I was a 3 sport athlete. Basketball was my life, while volleyball and track were something I enjoyed, so year round I was engaged. I know how to run, but after 3 knee surgeries I just haven’t run consistently for almost 20 years now (ouch, that hurt to type!). It felt so good to get out and run again. To remember what it feels like to be winded, to feel the burn, and engage muscles I had forgotten about. Most importantly, it feels good remember what it feels like when I hit my stride and I am running my race. That moment is when I feel confident and strong, as I feel my physical and mental bodies are in tune ready to run to the ends of the earth. I run on a trail by my house and there has been camaraderie as I am running and as people pass me and I pass them. Generally, runners give each other the thumbs up and even say, “keep it up!” However, there have been several times when women see me coming to pass them and speed up. One woman even went so far as to sprint ahead and then start walking again once she felt she was far enough ahead, only to sprint ahead again just so I could not pass her. Several woman jog faster when they see me behind them and try to run at a faster pace until I am in front of them. I thought back to the thousands of conversations I have had at various leadership conferences about women in leadership and competition. 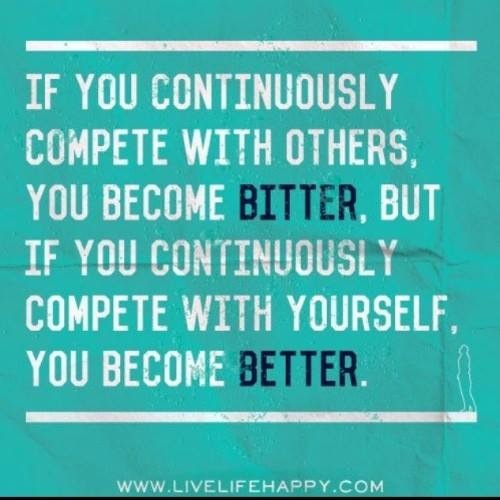 Why do we feel we need to compare? 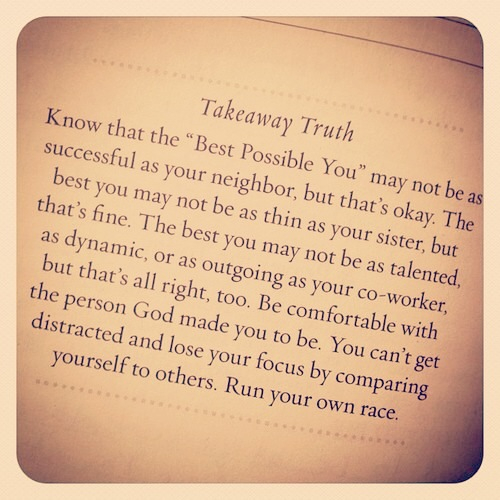 To feel like we are running in someone else’s race? Instead of focusing on our own strengths and what makes us unique, we focus on our weaknesses as compared to others. Instead, the best thing we could ever do for ourselves and others is to be the best version of ourselves. I know it is a journey. I’ve been there, comparing my life or career to someone else thinking they had it all figured out. What does she have that I don’t? Why is she farther in her career than I am? Why can she run faster than me? But at the end of the day, there is no “there, there,” meaning that everyone is really trying just as hard to figure out. Everyone has something that makes them feel unsuccessful or incompetent. And, you know what, no one has it all. Until we truly become comfortable and focused on being our authentic selves, will we ever become our best selves. If we focus on sharpening our uniqueness and strengths, we will find the spaces where we can be most successful and accomplish our personal goals. One thing I remembered loving about running that was different from the team sports I played, was that I could compete with myself. 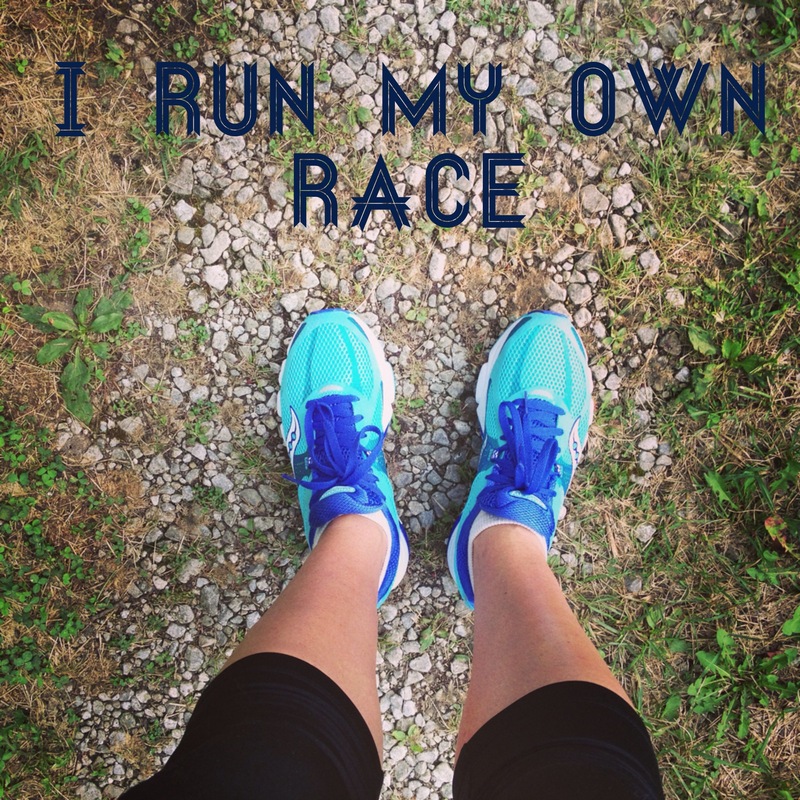 The race I ran was mine alone. When I step out to run, I am trying to push myself to the next place. I want to finish a 5k. I want to gain that new personal record by running faster or going farther. It’s not about anyone else but me. So fellow women runners on the trail, just know I’m not out here to compete with you. I’m out here for a better me.